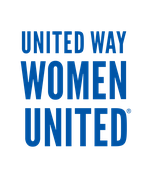 The Leadership Society is United Way’s newest giving society. Leadership Society donors are individuals who give $1,000+ annually to United Way. Like-minded leaders provide important help towards raising funds, advocating with local elected officials and educating the community about the issues we face to create pathways out of poverty for our most vulnerable neighbors. Interested in learning more about joining the Leadership Society? Contact our Leadership Giving team at [email protected]. Donated more than $2.6 million to United Way’s Creating Pathways Out of Poverty (CPOP) fund. Joined together at Sip & Serve to network and make more than 400 lunches for homeless neighbors. Came together to help give voice to the voiceless while volunteering at the annual Greater Los Angeles Homeless Count. Unite with us and inspire.